There's been a lot of recent Ozotic releases. Scatter Chromes, Beams and Sugars have been released to our great pleasure. 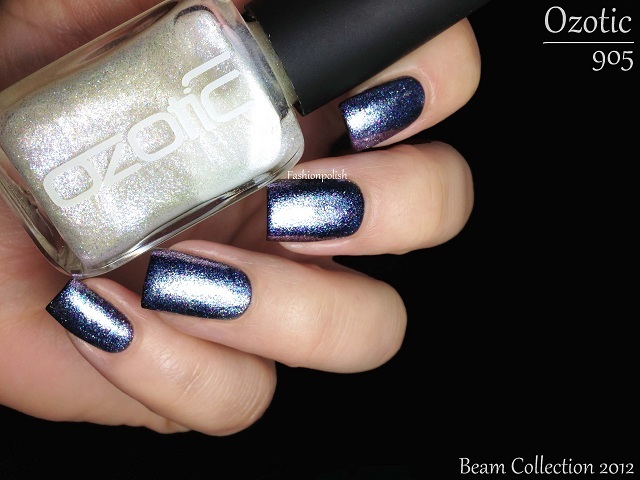 Today I have 905 from the Beam collection to share with you! 905 is a very deceptive polish. The innocent looking white bottle is in reality packed with glass flecked particles that will instantly reveal the glimmer of their pink, green and blue shimmers under the slightest ray of light. 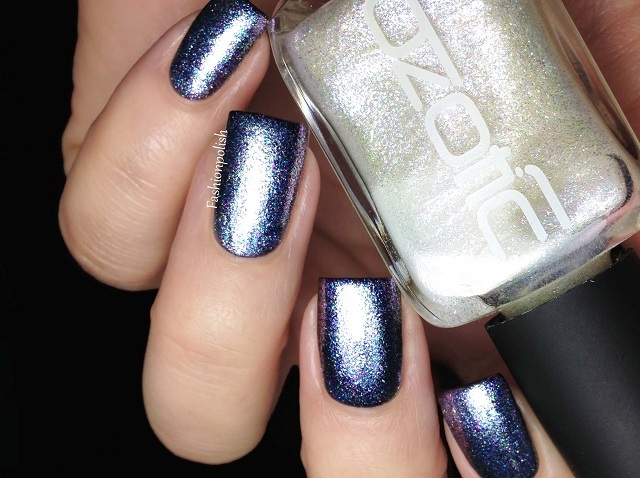 Of course, that makes it the perfect layering polish and I decided to try it over black to get a clear idea of both opacity and sparkle. I only applied one coat of 905 here and it's seriously crazy in real life, even, intense, opaque and super reflective! I still can't believe how amazing 905 is. It seems so innocent at first look but layered, it's just an explosion of sparkle! 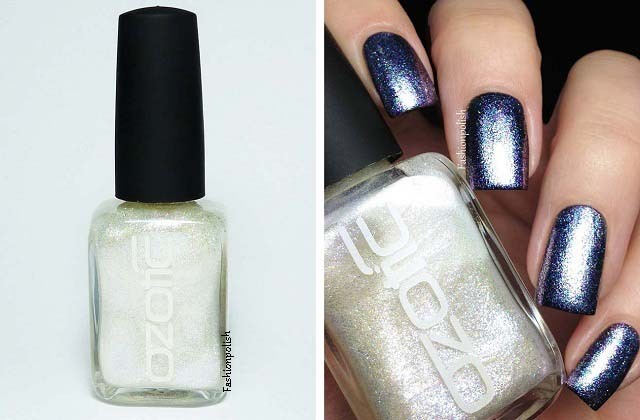 Ozotic 905 retails for AU$12 and can be purchased directly from piCture pOlish.com.au or through their international network. Did you get any of the new Ozotics? What do you think about their new ranges? OMG this is gorgeous!!! It is definitely making its way onto my wishlist!!! This is INSANE in the best possible way. What an excellent polish! Wow, that is seriously intense! Amazing transformation, really--I totally assumed that was maybe a dark navy or purple underneath..
Oh wow I love it! The black base turned out blue. And look how amazing that is! just wondering, how similar would you say this is to a-england - morgan le fay?